epic struggle for freedom through a series of short snippets starting on March 18 and concluding on Independence day August 14. The campaign aims to relive the historic events that have shaped the future for Pakistan through the struggle of Partition and gave impetus to a movement and the spirit and determination that galvanized the Muslims of the sub-continent to win their freedom. She also advised both the organizations to reflect Pakistan’s proud geographical diversity as well as highlighting the transformational changes that have taken place or continue to define a future headed towards greater prosperity, such as institutional development, economic revival and progress including CPEC, agriculture, women empowerment, Arts and Culture, sports and defence, particularly the measures taken to make it invincible. She was presiding over a meeting held in regards to firming up steps and measures by the Ministry of Information, Broadcasting and National Heritage for celebrating the Pakistan Day in a befitting manner. The minister directed that all these themes be highlighted through special live transmissions, programmes, dramas, youth shows and special lyrical compositions. 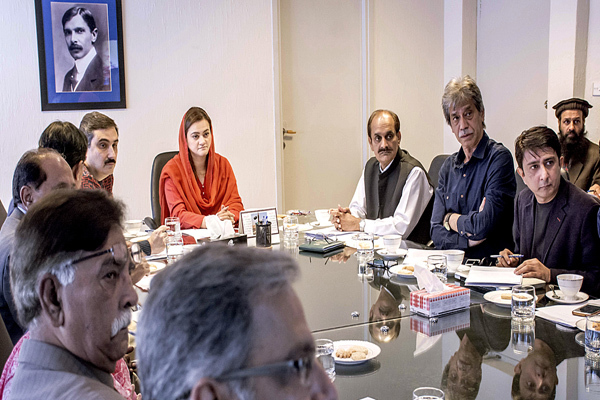 The minister also invited the general public to witness the making of Pakistan and the journey towards its cherished goals through the programmes that the PTV and PBC would be telecasting and broadcasting respectively. She said that Pakistan Day carries great significance in the annals of history as Muslims of Indian sub-continent were accepted, for the first time as a separate nation on 23rd March, 1940. She said that Lahore Resolution represented the crystallization of the dream for Pakistan which turned the abstract into reality. She therefore also stressed the need to highlight the role of the heroes and iconic personalities of the freedom movement in the creation of Pakistan as well as those citizens who have contributed towards the development and prosperity of the country. The Minister of State assigned various tasks to relevant departments regarding celebrations and directed them to accomplish them within the stipulated time. The next meeting on the subject shall be held on Tuesday 21st March, 2017. The meeting was attended by senior officials of Ministry of I&B, PTVC and PBC.